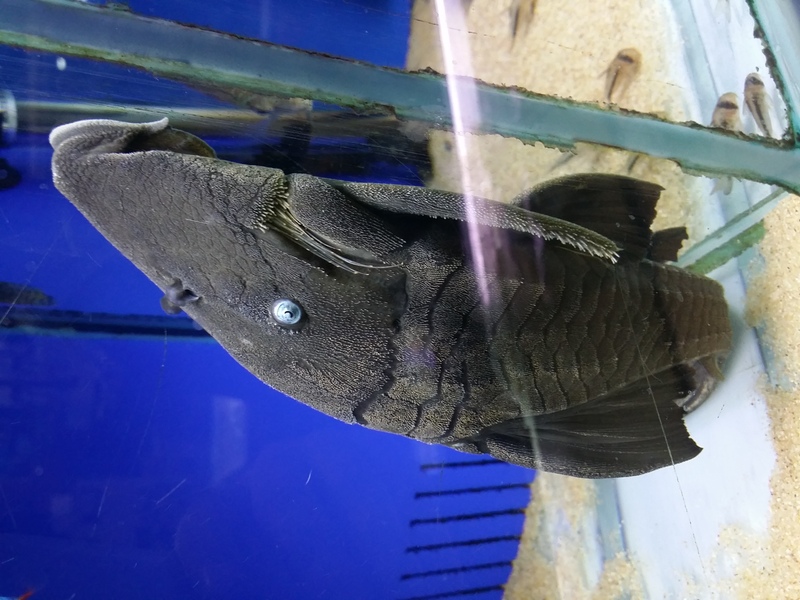 This weekend I had the pleasure and honour of been invited to Melksham by the aquatic chain store Maidenhead Aquatics to take part in the Wiltshire Plecos & Catfish Study Group gathering. 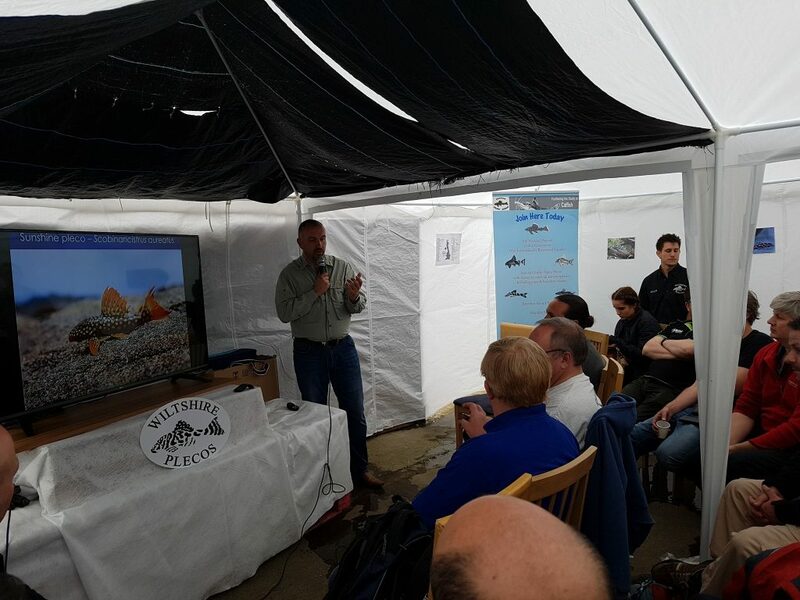 The events are held at different times throughout the year in the aim of bringing fishkeeping enthusiasts of all levels together to provide educational talks and unite the community; they also are a great opportunity to ogle at some truly exceptional fishes and maybe even take a few home. 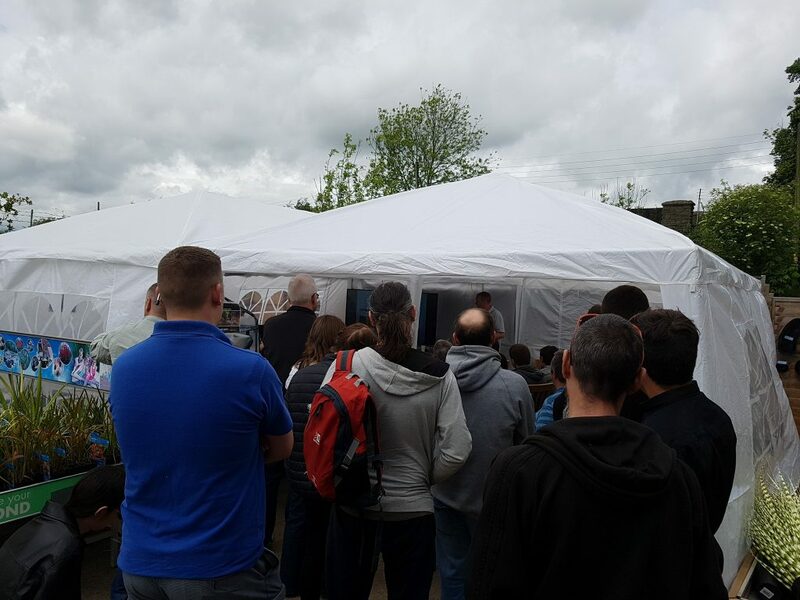 The manager of Melksham’s branch is James Gulliver and with the help of Nick Ridout and the other members of the two clubs (as well as some really great staff), the event got off to a really great start. 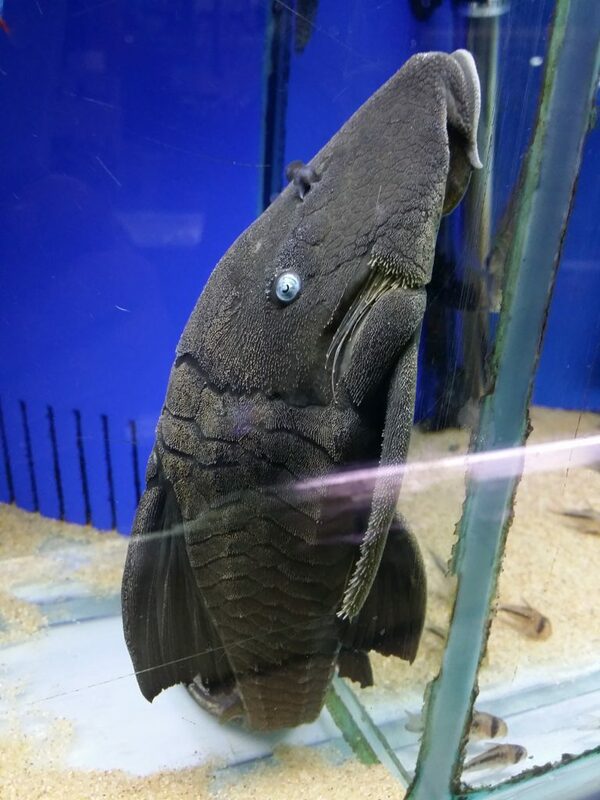 On arrival to the event it was evident that James had consciously embraced the community approach and the place was alive with fishkeepers chatting away in front of tanks filled with various classic and lesser-known species; it was nice to see a lovely large Blue-Eyed Panaque in store! – a reservation for self-confessed pleco addict Martin Hemmens. My job for the day was to recreate a natural biotope using whatever equipment and decor I liked – this is literally like giving a child free reign of a candy store! 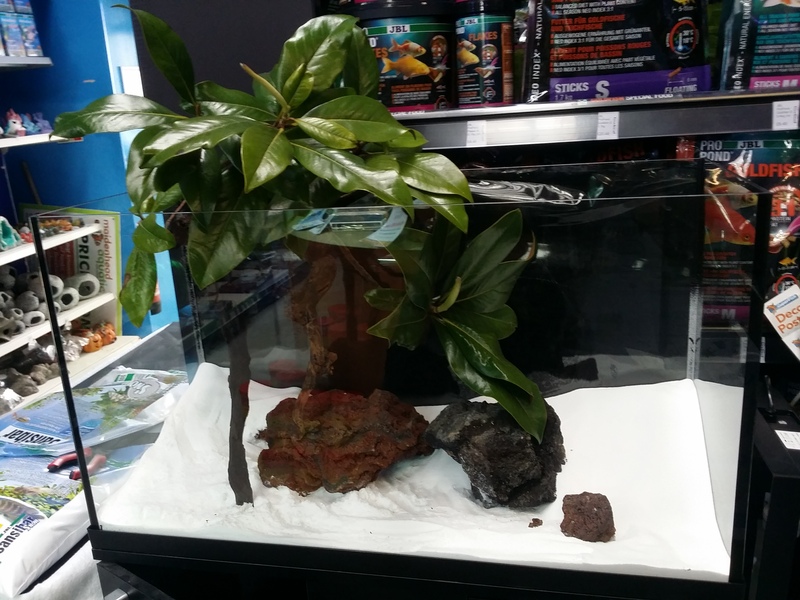 ; it’s also most fishkeepers dream-come-true. Since the event was focused on mostly the Loricariidae family I wanted to do something which included at least one pleco species (more if possible). I noticed some Dekeyseria (L052) in one of the tanks, this is a species I had the pleasure of observing and swimming with in their natural habitat along the Rio Atabapo; they are certainly one of my favourite “sucky fishes” I decided to repeat my most recent biotope design from my biotope workshop in Malta at the Malta Aquarist Society, but using some different species including: Paracheirodon axelrodi (in memory of Dr Herbert Axelrod who passed away on May 15th 2017), Crenuchus spilurus, Biotodoma cupido (in replacement of B. wavrini), some young Heros. sp, Loricaria sp. “Atabapo”, Gasteropelecus sternicla (in replacement of Thoracocharax stellatus), Dekeyseria “L052” and Farlowella sp. (in replacement of Acestridium martini). For decor I used a few pieces of root-like bog wood, Lava rock to replicate the igneous rock found all throughout the Atabapo, JBL Sansibar “Snow White” sand, which perfectly replicates the sandy substrate of the Atabapo River, a Cyperus species to simulate the semi aquatic Cyperus species which grow emerse and submerged along the river banks and in the shallows and some Magnolia leaves. 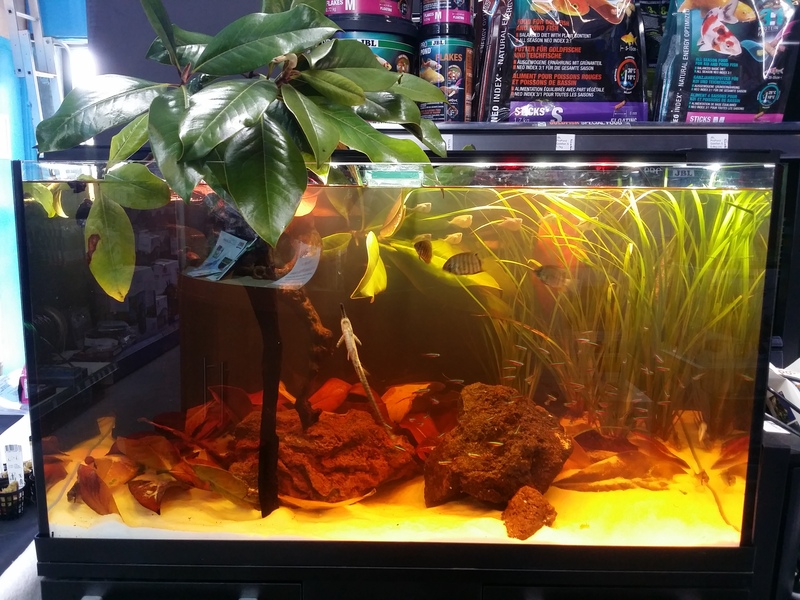 Magnolia leaves have become increasingly popular in the last year or so, I’ve personally used them for my aquariums for many years, more often in my signature style of overhanging branches since they very realistically resemble the leaves of native Amazonian Acara-Açu trees, within which many fish find refuge. 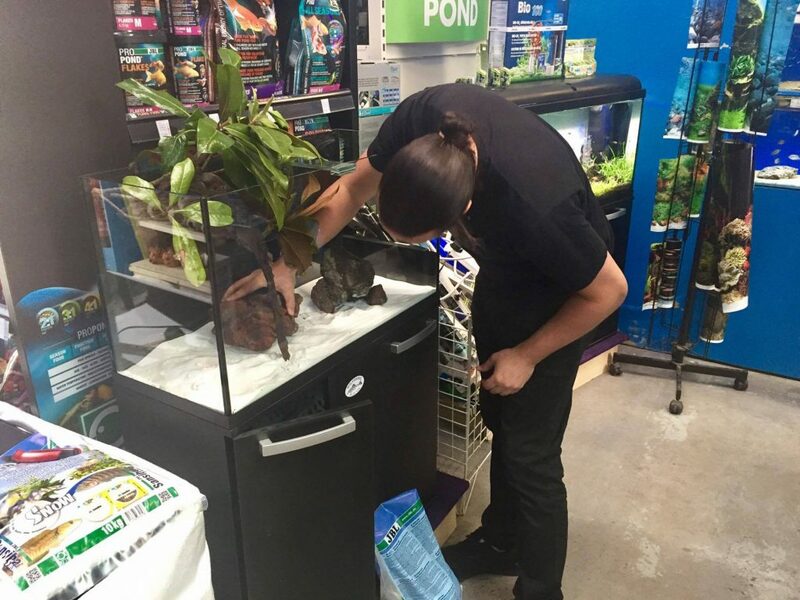 Important considerations I make while preparing any biotope aquarium is to ensure I cater for each species, providing them with their own respective microhabitat characteristics. For example, I observed Dekeyseria L052 in their natural habitat associated with pieces of granite rock on the river bed, social families of these plecos congregate in the safety of the crevices and so this was important here; each rock has several spaces beneath to enable the L052 to tuck underneath them safely. 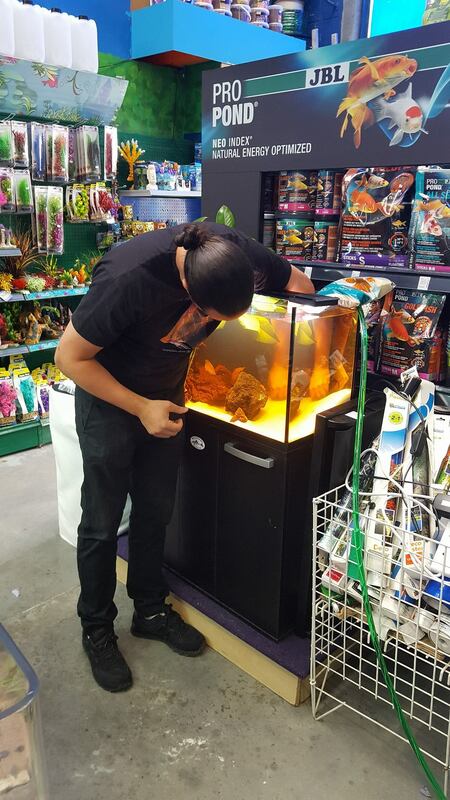 Its a really interesting phenomenon that when you provide the correct environment for a species it innately begins to fulfil its ecological niche and natural behaviours start to come through instinctively; this is something that makes biotope aquariums unlike any other. Overall, this event really succeeded in bringing together a large chain-store franchise and its passionate and valued clientele. I’d say it also is the type of event which solidifies our hobby and builds a wider and more passionate community. So good to see the major Aquatic Retailer hosting such an event, it does them great credit. Is this symptomatic of a growing awareness of a need to improve the company ethos? Or the quality and enthusiasm of their stafff? Pleeeeeease do this in Ireland!! !